Anne’s children were almost grown up, except for pretty, high-spirited Rilla. Kenneth Ford. 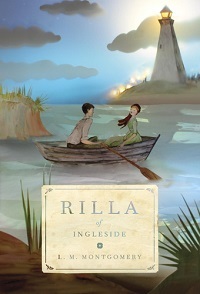 But undreamed-of challenges await the irrepressible Rilla when the world of Ingleside becomes endangered by a far-off war. Her brothers go off to fight, and Rilla brings home an orphaned newborn in a soup tureen. She is swept into a drama that tests her courage and leaves her changed forever.